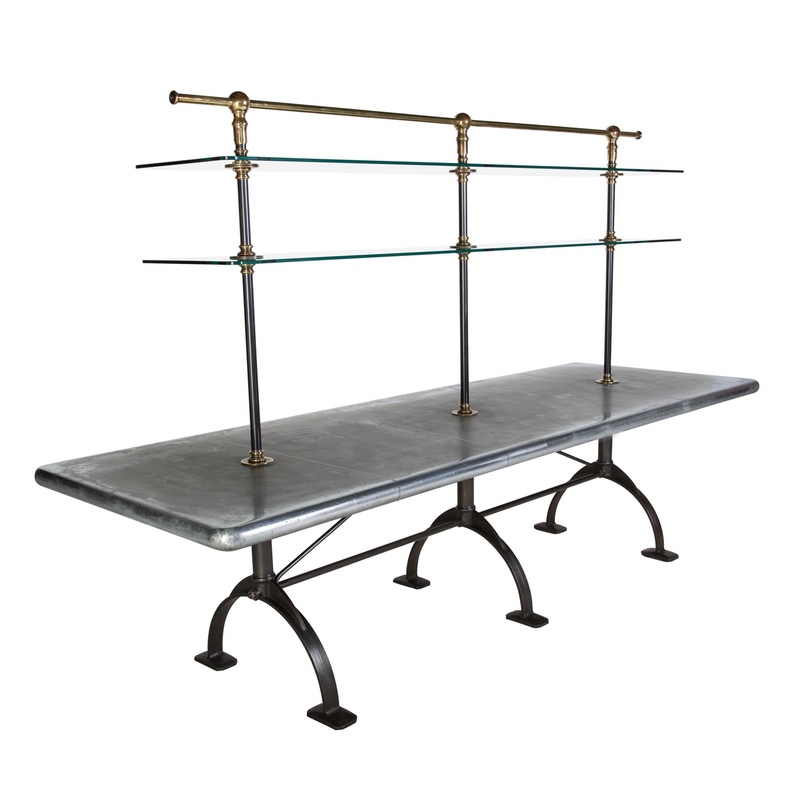 Large zinc top table on cast iron legs with adjustable glass shelves. 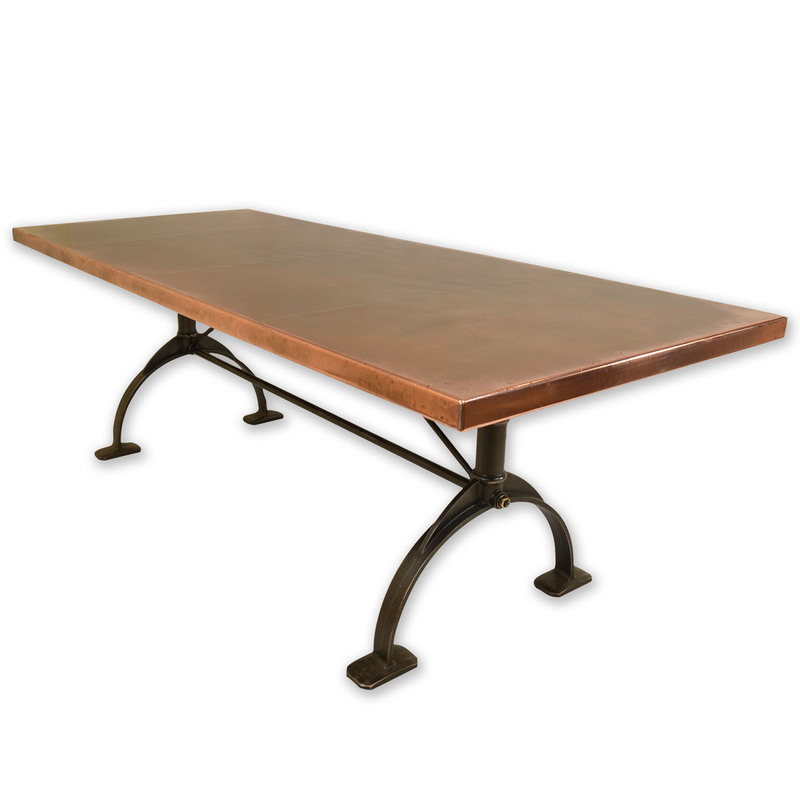 A large zinc top table with bull-nose (rounded) profile edges, on our unique cast iron legs. 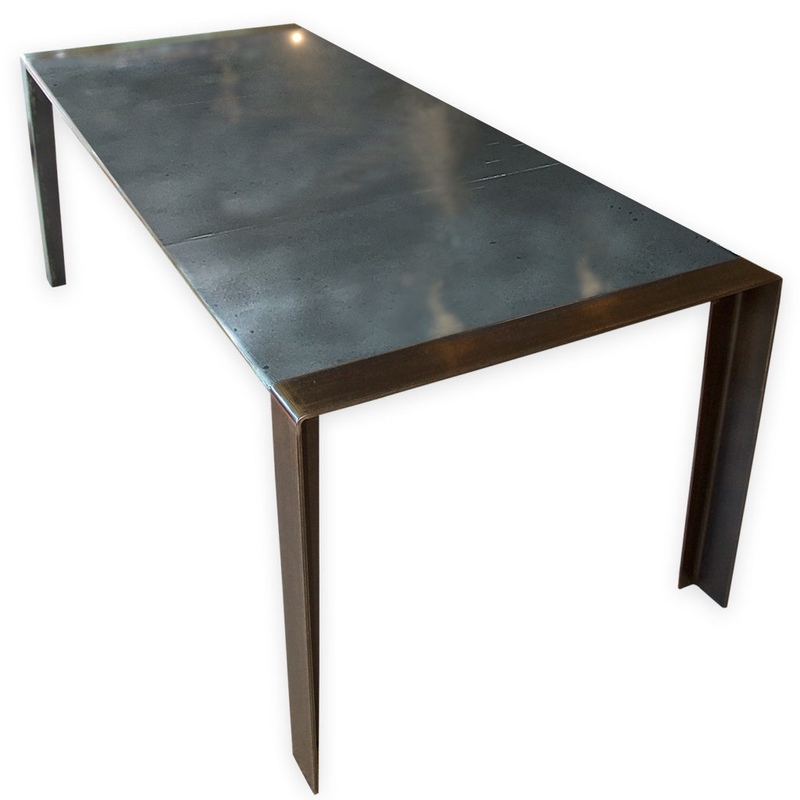 This dining table (or kitchen table) is tailor-made to order and is handmade, coloured, patinated and finished in our English workshops, from the finest quality materials. 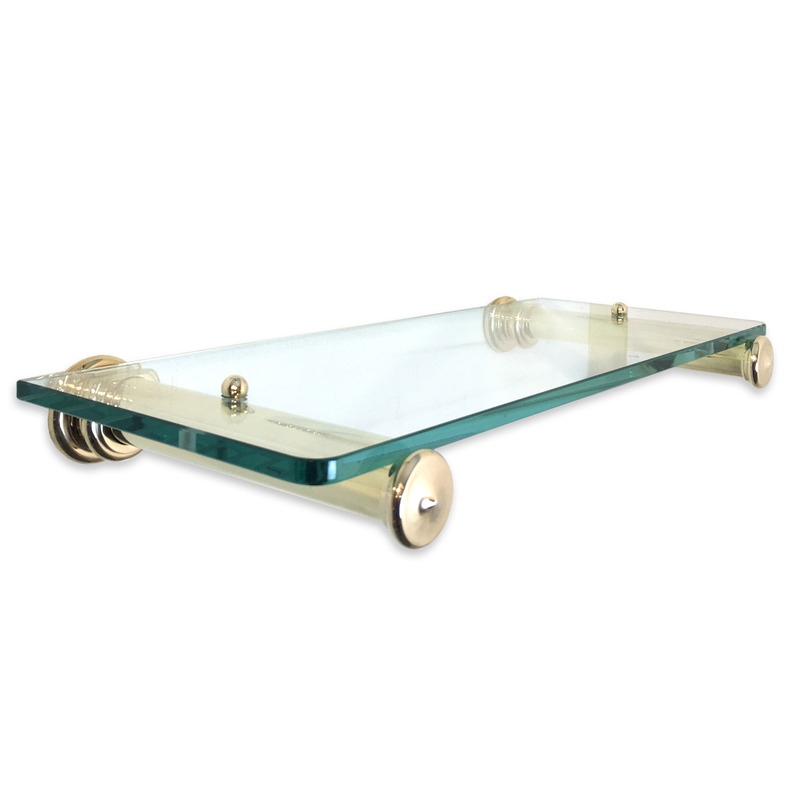 The shelf support structure is made from gun barrel (blackened) steel and solid / thick-walled brass, and the glass shelves can be adjusted to the height you need. 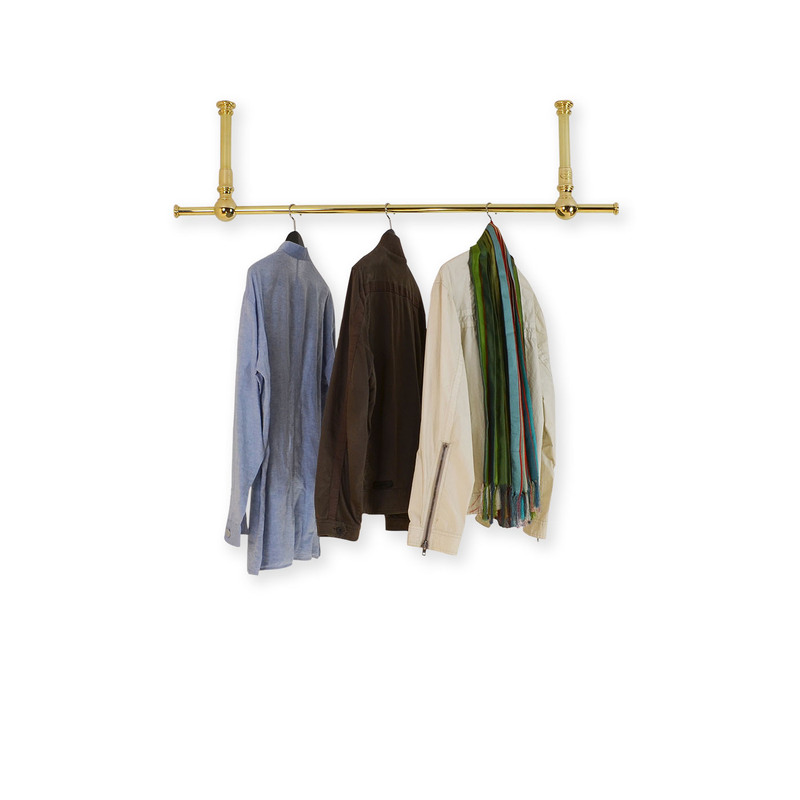 Through our Bespoke Service we can supply this item in alternative designs where you can specify elements such as the size, metal finish, ageing patination, edge profile to name a few. Please contact us for further details. Why Not Bespoke This Design? Our Ready-to-go designs, are designs that we have spent many years refining. 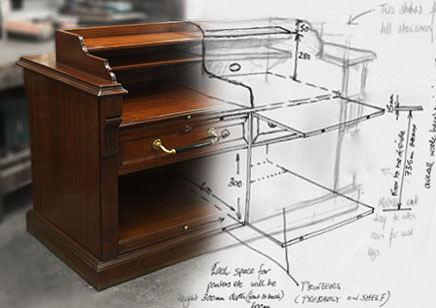 We can also apply our experience and craftsmanship to creating a design just for you through our Bespoke service. Why not contact us to discuss your ideas and requirements, we would be happy to create a bespoke design to your exact specifications.